What is it about a perfectly designed rooms that we admire? 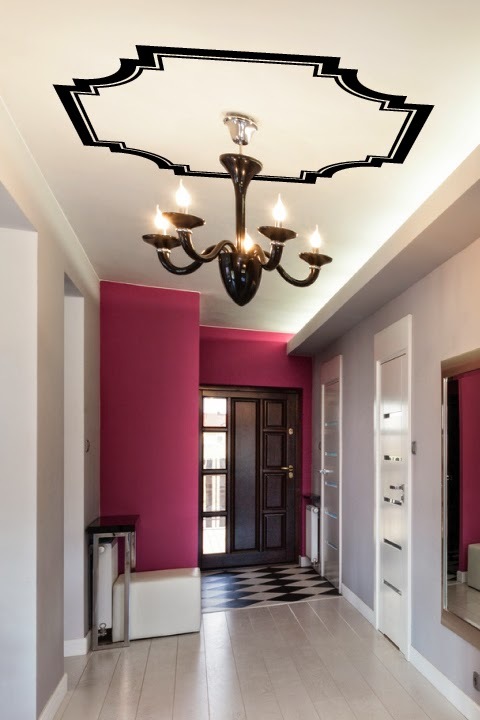 For some it is the alluring blends of colors and textures that sweep our eyes around the space, or the room layout and functionality that we envision making our daily lives easier. It could also be one particular design element or work of art that caught our eye that we just can't live without. We have been following interior design trends for years now and think good design means well thought out rooms from head to toe. All five walls (yes five walls) that incorporate the forgotten ceiling - the 5th wall. 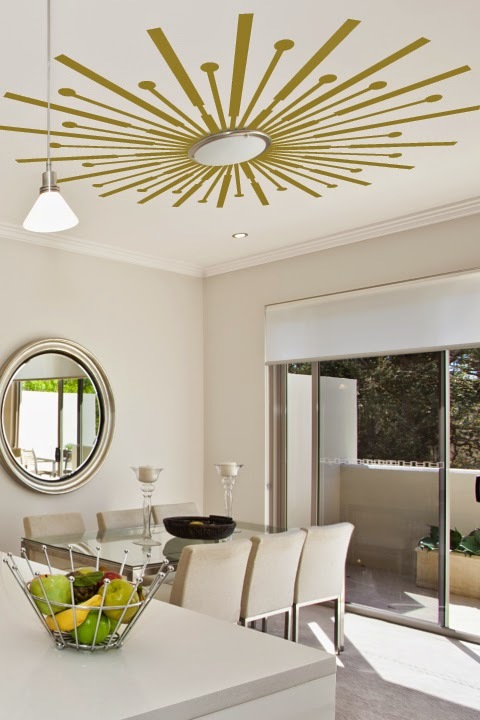 Interior Designer and Founder of WALLTAT, Jordan Guide has just answered the age old question of how to enhance plain ceilings and light fixtures to create that "wow" factor we see in the magazines. 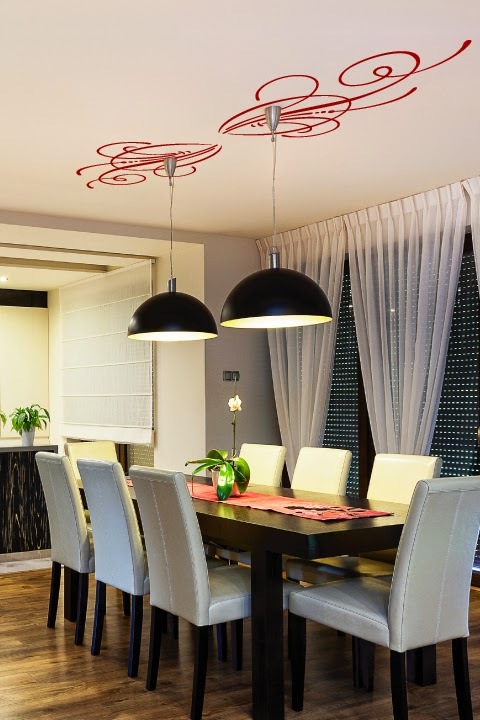 She has completed and launched her first Ceiling Decal Collection - available now at WALLTAT. 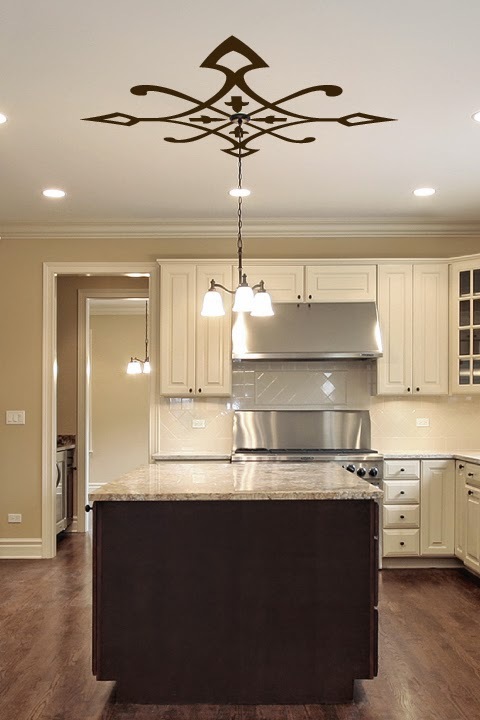 Designs range from Sunbursts to Medieval Compass and with this versatile group of ten clever ceiling designs, each are available in 34 colors and priced from $49 - $179. 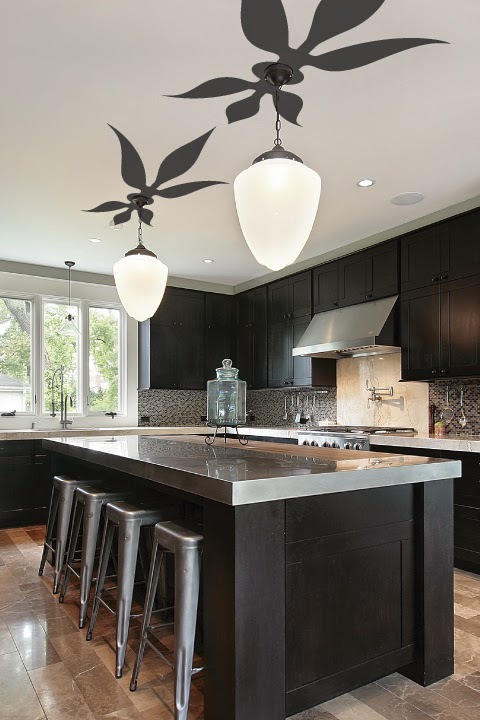 Some are styled to mimic ceiling medallions to encircle lighting fixtures and others are sold freestanding to place around pendants or scatter around plain ceilings to highlight the furnishings below. 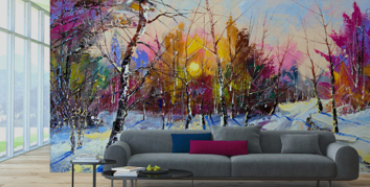 At WALLTAT, things are certainly looking up!